Hay fever / allergic rhinitis. When allergies cause sneezing, a runny nose, itchy nose and eyes, and sometimes a puffy face. However, foods can also provoke allergic rhinitis. Hay fever can appear in preschoolers but is more often seen in older children and adult. Hay fever and asthma can persist into adulthood, but symptoms tend to be less severe. Nevertheless, new inhalant allergy can still develop in adulthood. Allergy testing every few years is worthwhile if allergy suspicions persist. 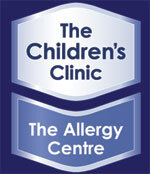 We offer full allergy skin prick tests at the Childrens Clinic | Allergy Centre, Christchurch.